Looking to go back to basics? 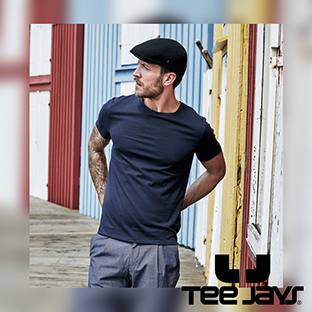 With many of their garments having a super soft feel, we thoroughly recommend our newest brand, ‘Tee Jays’. Their message is to”...create the best premium collection of fashionable classics…” and we honestly think they have done just that! Why not take a look at just some of their garments below to find out more! This tee is made from 100% ringspun combed cotton which makes it feel super soft! Narrow ribbed collar with Lycra®. Top stitched sleeves and hem. 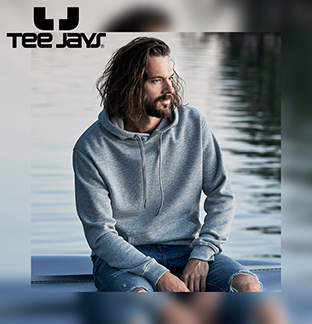 With dropped shoulders and brushed back cotton, this hoodie is perfect for spring time! Two piece lined hood with self colour drawcord. Lycra® ribbed cuffs and hem. Material: 50% ringspun cotton/50% polyester. We would describe this as a perfect casual lightweight sweatshirt, perfect for those warm spring days! Ribbed collar, cuffs and hem with Lycra®. 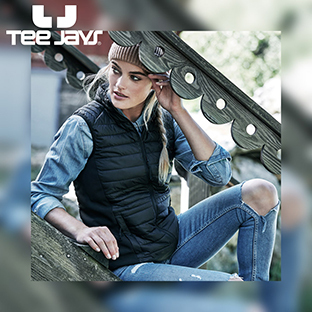 Put a spring in your step with this padded bodywarmer. It's showerproof, has a flattering fit and has an inner zip to keep those valuables safe. Full length low profile zip with chin guard and inner zip guard. Soft shell side body panels. One inner zip media pocket. Denim it up in this gorgeous shaped denim shirt! Two button adjustable cuffs with button on cuff gauntlet.